"Technical methods of examination are welcome when their role . . . is confined to that of an auxiliary science. Precedence must always be given to intuitive, subjective human perception, aided and checked as it fortunately can be by technological means. The final and most certain hallmark of a forgery is that, once unmasked, it is immediately reduced to nothingness." The ongoing debate about the authenticity of various works by Vincent van Gogh has spanned several decades. The fakes controversy has been a contentious issue among art critics and owners alike. Various highlights of the fakes controversy include the "Wacker Scandal" (mentioned briefly below) as well as the Jelle de Boer incident in 1966. More recently several articles have been published calling into question the authenticity of a number of Van Gogh paintings. The Van Gogh Museum in Amsterdam continues to prudently investigate the issue and in 1999 released the results of their exhaustive analysis of The Garden of Saint-Paul Hospital (confirming that the painting is indeed authentic). The first major milestone in the fakes controversy came shortly after the original J. B. de la Faille Catalogue Raisonée was published in 1928. It was a revealed that a number of paintings included in the listings were frauds produced by a German art dealer named Otto Wacker. The "Wacker Scandal" put a number of galleries and Van Gogh scholars on the defensive. 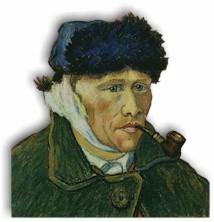 De la Faille subsequently published Les Faux Van Gogh, a catalogue singling out the fakes, in an attempt to clarify the mistakes made in his earlier work. The 1970 revised de la Faille Catalogue Raisonée has a chapter of "Rejected Works" in which 49 paintings and drawings previously attributed to Van Gogh are exposed as fakes. In addition six other works are rejected by de la Faille, but accepted by the editors of the 1970 edition and 17 others are accepted by Faille, but rejected by the same editorial board. 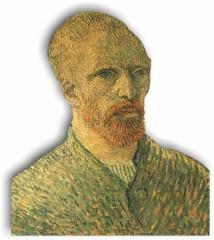 Dr. Jan Hulsker in his 1996 The New Complete Van Gogh: Paintings, Drawings, Sketches discusses the Wacker Scandal and goes on to comment "If already in the twenties such a number of forgeries could have escaped the scrutiny of most of the experts, it would be a miracle if even up till now a number of so-called Van Goghs could not have lived on in reality and in the literature, unrecognized as being more or less well painted imitations. It is a well-known fact that for instance in the Auvers-period, the number of paintings attributed to Van Gogh far exceeds the amount of work he could have done in the seventy days he stayed there before his death. The fakes controversy is indeed as complex as it is contentious--and a debate likely to rage for years to come. "When myth seems stronger than scholarship: Van Gogh and the problem of authenticity"
"The Wacker forgeries: a catalogue"
Stems of division in the provenance of "Sunflowers"
Van Gogh fakes: the Wacker affair by Walter Felichenfeldt (Simiolus, Vol. 19, No. 4, 1989). Note: illustrations/catalogue not yet available for this article. A research laboratory of the French Department of National Museums has officially authenticated the controversial Van Gogh painting, Garden at Auvers (see full details). It will certainly be most interesting in the months and years to come to see how the fakes controversy unravels. I'll be sure to keep these listings up to date as new information comes to light.